Whether you think of Gibraltar as a historical fortress jutting out of the tip of Europe into the sea; or whether you think of the Rock as a bustling, busy city teeming with businesses; or whether you think of it as a bit of quaint colonial Britishness in the Mediterranean – the best way to find out just what it’s like is to pay us a visit. Gibraltar welcomes thousands of tourists every year. Many of these arrive through the Cruise Terminal on the many cruise liners that berth at the North Mole of the Port of Gibraltar. Many thousands of others arrive through the land border with Spain, either with coach tours from the Costa del Sol, or on their own steam: walkers, drivers, cyclists. Some drop into Gibraltar on their charter yachts and others stay for a while having arrived, perhaps for a business trip, on one of the many commercial flights from UK. But in a busy Mediterranean city, with so much on offer, how does the Gib-savvy tourist make the most of a day out in Gibraltar? A good start would be to pre-book a tour of Gibraltar. If you’ve come on foot, a pre-booked tour will save you a good deal of time, and if you’ve come by car: park up, join the tour and just relax! There are many rock tours available and which you choose will depend on how you like to travel – do you like travelling in a group or would you prefer to book your own private tour? 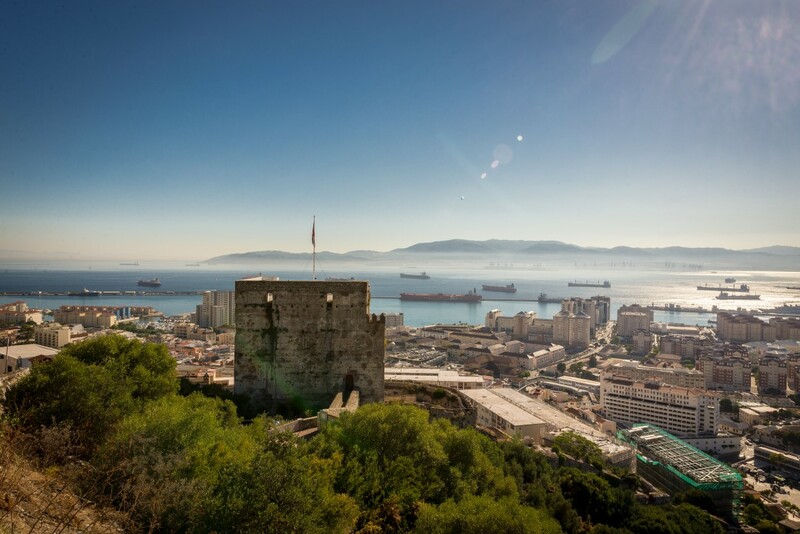 Which tour you book will also depend on how much time you have available on the Rock as these can vary from a basic two or three hour tour of the Upper Rock and Nature Reserve to a much fuller six hour tour, encompassing all the internationally renowned historical sites such as the Tower of Homage (Moorish Castle) and the Europa Point Lighthouse. With thousands of visitors touring the Rock during the height of the summer holiday season, booking in advance simply makes good sense. After a morning taking in the magnificent views from the top of the Rock, exploring the breath-taking St Michael’s Cave, finding out about Gibraltar’s fascinating military past, mingling with the macaques and enjoying Gibraltar’s natural environment, lunch could well be in order. Your tour will usually drop off at a fairly central location, and it is all too easy then to choose where and what to eat: from Italian pizzerias to Asian spices, Argentinian parrillas to Spanish tapas and Gibraltarian specialities – all these and more are available in Gibraltar’s squares, streets, beach side diners and marina restaurants. A tour of Gibraltar is not quite complete without browsing the many shops along Main Street, the heart of Gibraltar’s retail offering. Flanked to its west by the historic nooks and crannies of Irish Town, with its own speciality shops, bars and restaurants, Main Street offers a feast of duty free fashion, jewellery and much, much, more, Main Street is the place where you will secure that special holiday memento to take home. And if you’re here into the evening, why not take the chance to visit one of the many cultural events that take place in Gibraltar – art gallery exhibitions, theatre performances, live music to mention a few, and a swift, efficient taxi service to get you back to your cruise ship, or the coach station, or wherever you parked your car to get you home again. With so much to see and to do, one tour alone of Gibraltar will not be enough – you will simply have to visit us again for more!